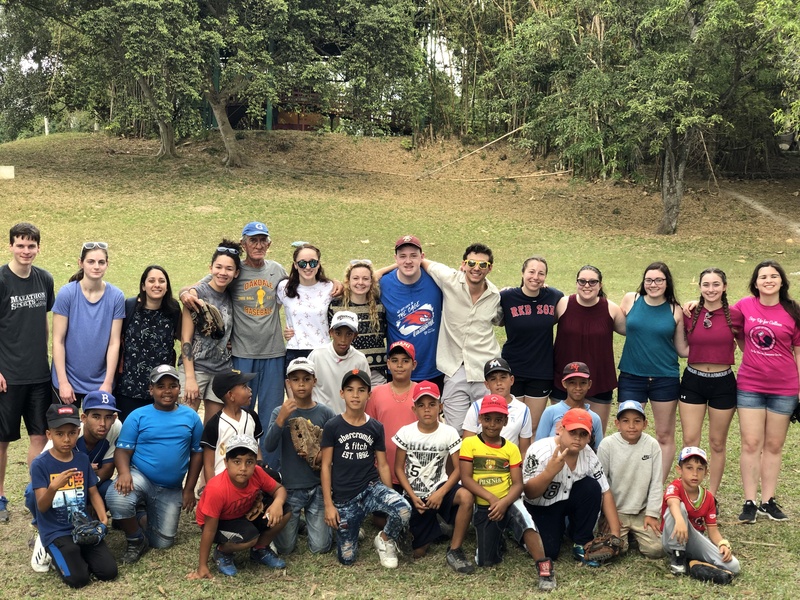 Honors College students pose with Cuban little league baseball players on the field in Finca Vigia, the Cuban home of writer Ernest Hemingway. 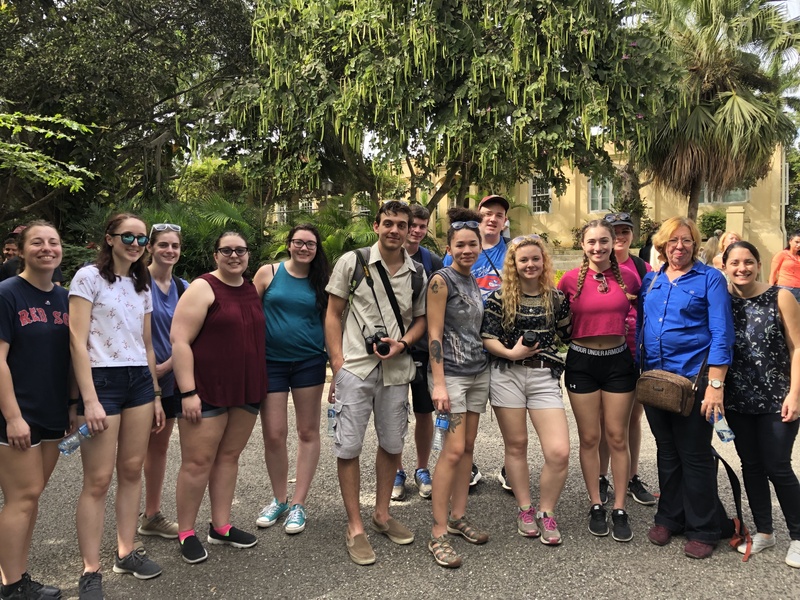 Honors students stand before Finca Vigia, the Cuban home of American writer Ernest Hemingway. 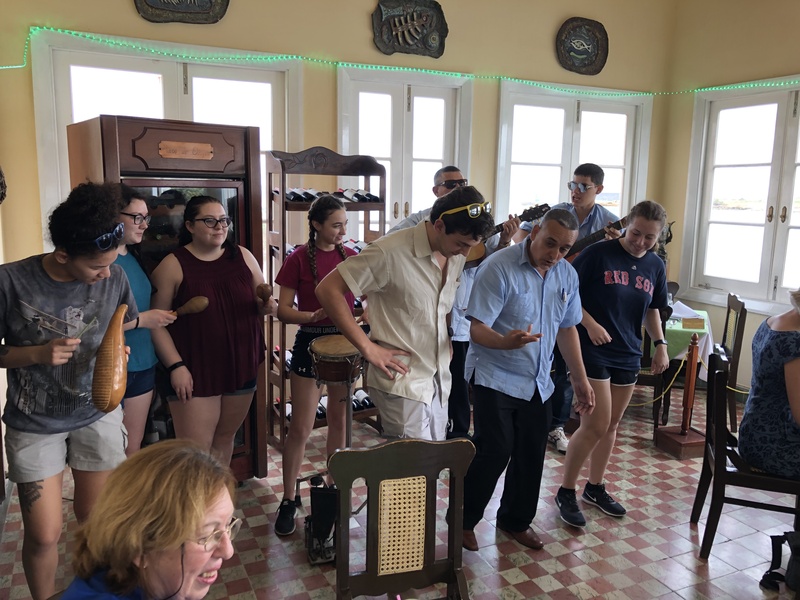 Honors students play instruments and are guided by a musician in how to dance salsa at the restaurant La Terrazza de Cojimar. 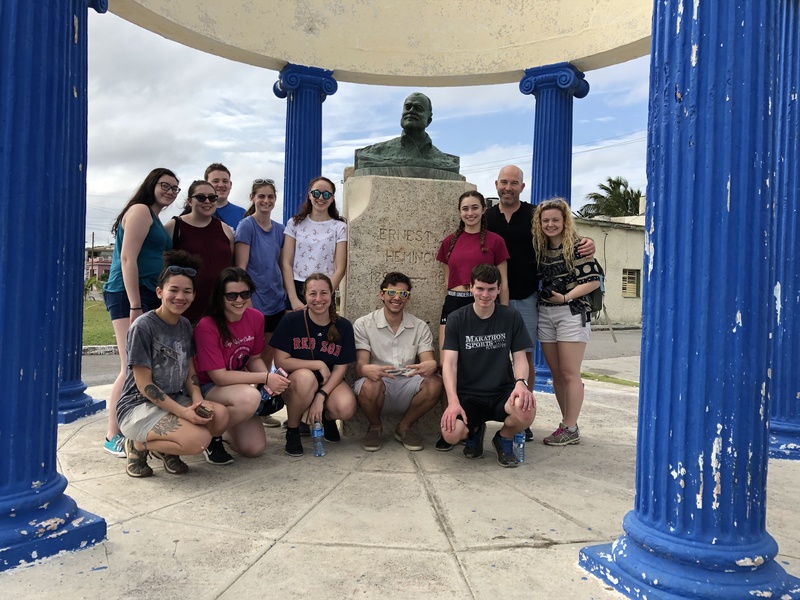 Honors students stand before a bust of Ernest Hemingway in the fishing town of Cojimar. It was the first bust of Hemingway in the world, constructed by the region’s fishermen not long after Hemingway’s death. 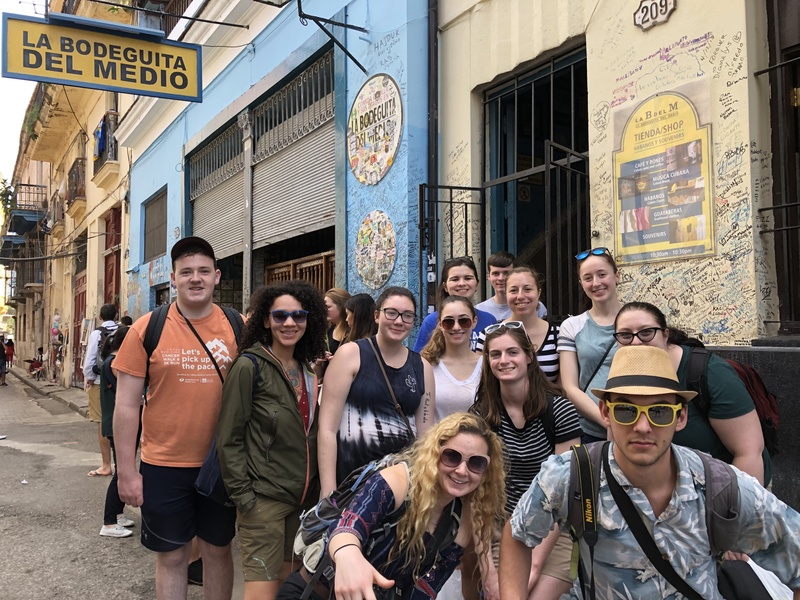 Students pose before La Bodegita del Medio, a bar in Old Havana popular for their mojitos. 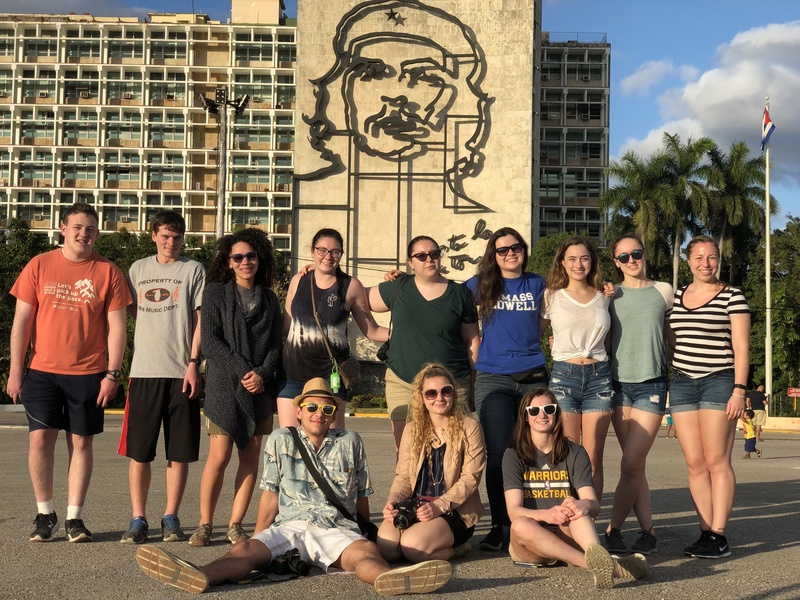 Honors students stand in Revolution Square, in front of a large portrait of Che Guevara. 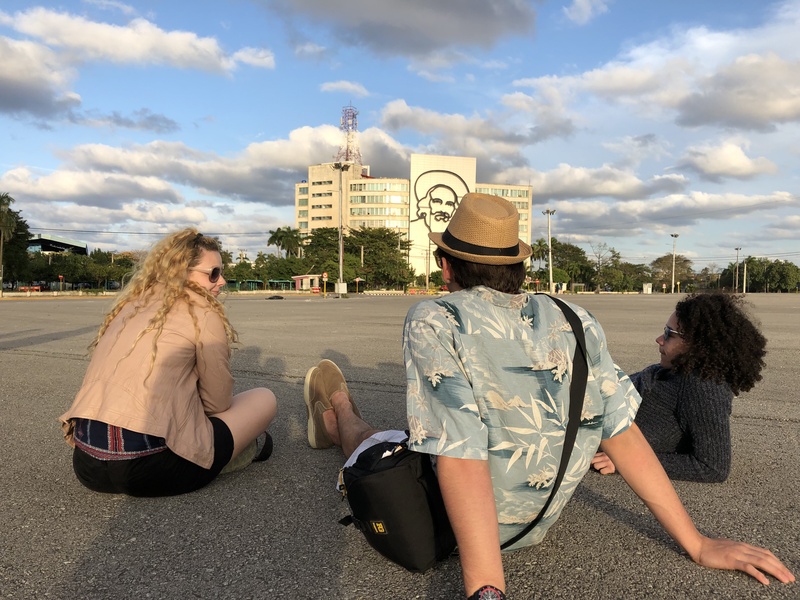 Three honors students sit in Revolution Square in Havana, looking out at the portrait of Cienfuegos on a building. 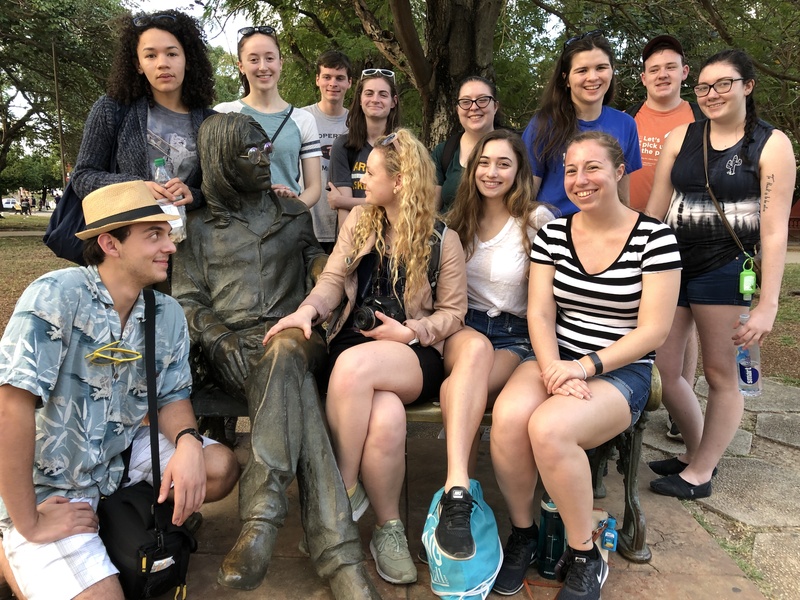 Honors students sit around a statue of John Lennon in John Lennon Park in the neighborhood of Vedado. 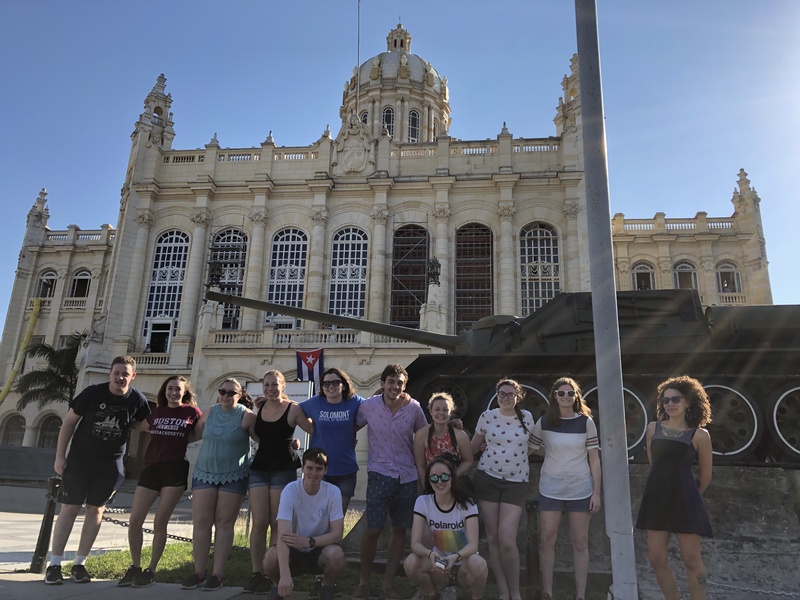 Honors students stand next to a tank outside of the Museum of the Revolution in Havana. 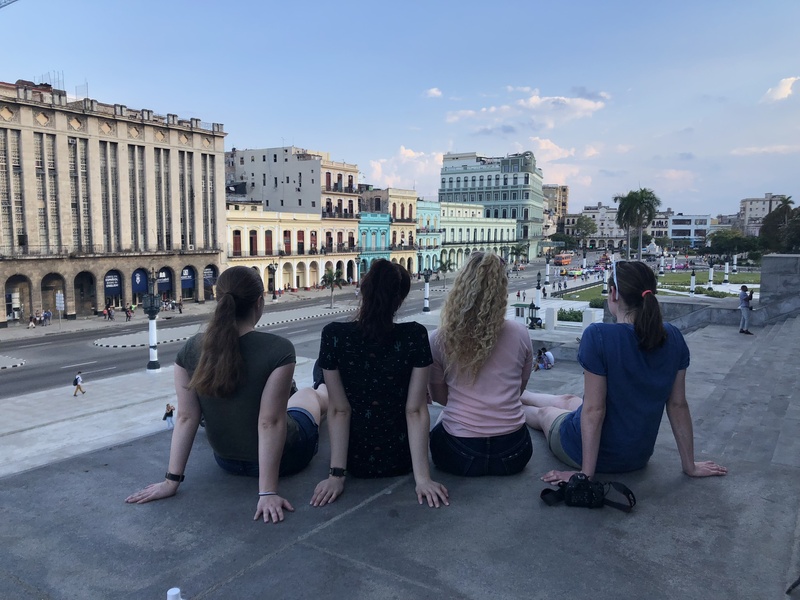 Honors students sit with their back to the camera on the steps of Cuba’s capital building as they look out at the city. 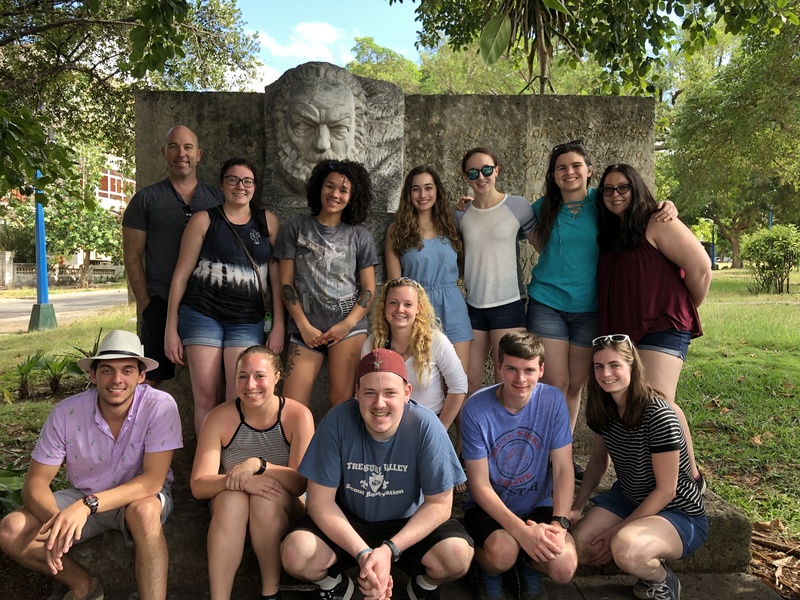 Students stand in front of a small monument to the French writer Victor Hugo in the park named after him. Hugo wrote in support of Cuba’s independence from Spain. This entry was posted in Uncategorized and tagged images, photos, pictures by julian_zabalbeascoa@uml.edu. Bookmark the permalink.